To ease your pain, I present you with David Tennant and his cute face. I’ve been kind of avoiding writing this post because even though I know it’s the right decision, these words are not easy to type. I’ve never been a frequent organised blogger, but you’ve probably noticed I haven’t been around much of late. The truth is, I think I’ve been pushing myself to read for a while now and it’s caught up with me. As much as I hate to admit it, I’ve lost that reading spark that I first started out with. And as a lifelong reader, it’s very saddening to have come to that point. As the year comes to a close, challenge signups come out and the excitement for the books 2016 releases grows, it makes me want to stay. on. Things just look brighter and shiny at the start of a new year, I suppose. Don’t worry, this doesn’t mean I’ll be gone for good though. I’ll still be around on Twitter and please do reach out and say hey. Promise me, OK? And of course, I’ll still be visiting blogs when I get the chance. You can't get rid of me that easily. Next year I plan to fall back in love with reading. I can't believe that this post is the last one of the year! We've come to the end of Dive Into Diveristy and I must say as a host, it's been quite the ride. Lots of learning, growing and reading good books. I hope you've enjoyed the challenge, our posts and most of all, that it encouraged you to expand your TBRs and read more diversely. For our last post, Estelle and I wanted to reflect on the challenge and year, so we've interviewed each other for some fun. I hope you enjoy her answers below and if you'd like to read my interview, click over here. Hosting Dive Into Diversity has been a learning curve for me, as I’m sure it has been for you, too. What’s been the biggest challenge for you? Honestly? Keeping up with the movement. There is *so* much going on beyond We Need Diverse Books, and all of it is so important. It’s almost a bit overwhelming because when you are planning a challenge like this one, you want to be knowledgeable and have the time to do research, but there are so many different avenues – it would take forever. I’m so glad to see this conversation is happening so frequently though. It’s great. Time to rewind and reflect: Favourite DID post of the year? Of yours, I loved: how diverse are your shelves? For ours, I had so much fun with my YA Diversity Book Club interview. Recommendation time: Top three favourite diverse books you’ve read this year. Plus, an underrated pick we should all bump up our TBRs. A toughie! The Boy in the Black Suit by Jason Reynolds (who is a genius); The Secret Side of Empty by Maria E. Andreu; Cut Both Ways by Carrie Mesrobian. I think all of these are underrated but I’m all for recommending a fourth book: Kinda Like Brothers by Coe Booth. From reading diverse books and listening to marginalised groups voice their thoughts, it’s been a year full of learning and growing for me. What’s something you've learnt over the past year? There are so many ways to look at “diversity”; no one story is alike. I hope that these campaigns and conversations reach those who are outside of the “book bubble” and readers start asking questions about why their experiences aren’t reflected in the books they are reading. It’s one thing for all of us to be blogging about it and for there to be articles in trade magazines, but I hope the reader in a classroom realizes they have the power to question the lack of diversity in the stories they are seeing at school and in their library. We’ve seen good progress since the We Need Diverse Books campaign launched and this past year has seen a number of diverse titles published and do well - but we’ve still got room to improve. What do you think is next for diversity in lit? I think I sort of answered it in the above question. Going beyond what has happened so far is important. The diversity conversation has the power the engage young kids who are curious about others, want to learn about the world, and also want to feel like their own story is important and worth telling. Everyone deserves to pick up a book that speaks to them. My very first favourite book of the year and 8 months later, Simon still has a hold of my heart and I don’t see that changing - ever. I’ve talked your ear off about Simon quite a bit this year, but if you still haven’t read it and need convincing… This book is special, heartfelt, heart-warming and a joy to read. It made my heart happy and put a smile on my face. Simon’s voice is genuine and real; the kind of character you want to be friends with. If you want to make me happy, go read this. Then come join the Becky Albertalli fan club where we meet every Tuesday to talk books and drink Oreo milkshakes*. I also recommend you munch on Oreos when you read it - trust me on this. This book is beyond amazing. I was originally interested in this because I got a (not so) Buffy vibe from reading the blurb and after that, I was sold. Let’s just say, this book blew my expectations out of the water and gave me more than I could ever have hoped for. 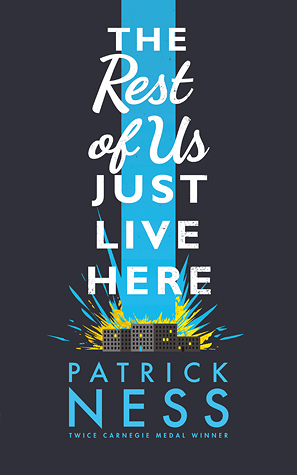 Simply, this book is dreamy and Patrick Ness is hella talented. The writing, the characters, the originality - it’s all here and done effortlessly. This guy is a pro and you should pick this one up is what I’m saying. This book is amazing and since it’s not as popular as the other two titles, I will now caps you, so you don’t miss what I’m saying because YOU NEED THIS BOOK and you probably don’t even know it yet. The friendship between Reagan and Vic is what YA has been lacking. There’s questioning, growing and figuring out and whether you’re a YA or an A, I think you’ll be able to relate. And even if you don’t, I think you’ll liked it nonetheless. I’ve read all of Dahlia's books and I’ve enjoyed/loved them all, but this one takes the cake for me. This might sound really weird, but when I finished reading it, I felt proud. I’ve followed her since before her debut released and I can already see how much she’s grown as an author, which makes me even more excited to read her future work. *I wish. Can we make this a reality? Now it's your turn - tell me your favourite books of the year! Have you read any of these? If you haven't, I hope I've convinced you to pick them up and that you end up loving them as much as I did. Diversity in lit is taking strides. We’ve seen some great titles released just this year and it’s a movement that is still going strong since We Need Diverse Books was launched in 2014. But here in Australia, there is still a gaping hole when it comes to diversity and we still have a way to go. I’ll be the first admit that Australian authors are some of the best, but this is one area where we need to improve on. Aussie authors including Ambelin Kwaymullina, Sarah Ayoub, Rebecca Lim and Gabrielle Wang have previously spoken about this issue. Book reviewer Danielle Binks has also written posts on the subject, hearing from Erin Gough and Eli Glasman. We’re having conversations and getting people thinking, and that’s a great place to start. In the mean time however, we have some brilliant diverse titles published and we need to do our bit by supporting the books we do have at our fingertips. 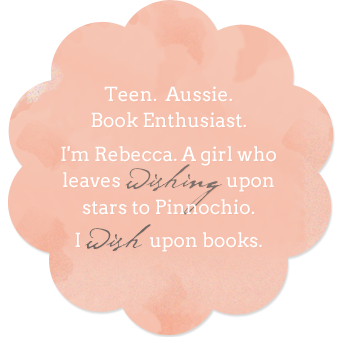 So today I’d like to welcome my good friend Rachel (blogger @ The Tome Travellers) to the blog, who has a list of awesome recommendations to share with you all. Get your TBRs and wallets ready and don’t forget to link up you reviews below. Happy reading! 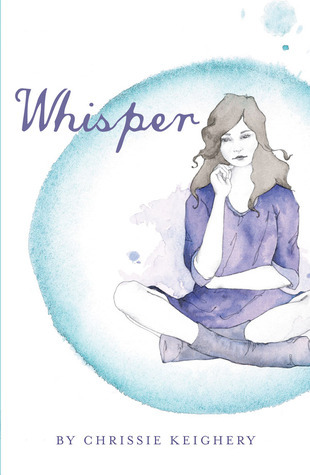 Whisper is about a teenager, Demi, who went profoundly deaf about 18 months prior to where her story starts off. I can’t even remember why I decided to read it, but I’d never read a book about deafness before and I wanted to fix that. I’m so glad I did, because I was so invested all the way through and it makes me sad that this book is so underrated. It’s a moving story about Demi navigating all the things teenagers struggles with – there’s some family and friend issues that are beautifully dealt with - and coming to accept herself as a deaf person and realising that it’s not a bad thing, it’s just who she is now. I really, really liked it (in fact, writing this little paragraph right now is making me want to re-read it something fierce) and I think it’s a perfect candidate for the quietYA hashatag. Chuck it on your TBRs, please and thank you. Fuzzy McCardell ‘Fuzzy Mac’ is an aboriginal girl being raised by her grandparents in the small country town of Laurel Dale. Her story starts off in the year 2007, the year of Kevin Rudd’s national apology to the stolen generation. So while I personally didn’t connect to the story all that much, I loved Fuzzy. Her voice was so unique and fresh – I adored her observations and descriptions of the people in her life, the quirky and unique people of Laurel Dale. In fact, I’d say the final page of this book is probably the best final page I’ve read all year, so I want you all to read it, and experience it for yourselves. ** Nona and Me by Clare Atkins was published this year, but as it’s told from the perspective of a white girl living in an Aboriginal community, I thought Grace Beside Me was more appropriate for this post as it’s written by an Aboriginal woman with an Aboriginal MC. Alex is a 15 yr old who was born with both female and male parts. Her parents chose to raise her as a male but she has always felt like a girl. After an incident at her current school, she decides to start fresh in more ways than one - she moves to a different school and also starts dressing as a female. It’s been a few years since I read this book now, and I’ll be honest when I say it wasn’t one I loved. 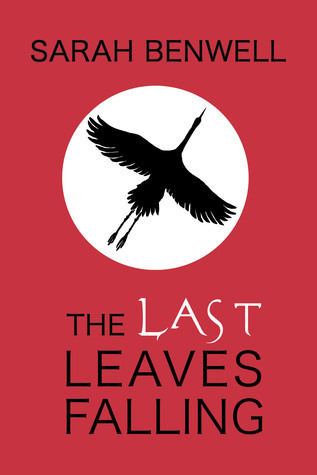 I liked and enjoyed it at the time, but much of the story has faded from my memory and I don’t know if I want to read it again (please keep in mind this is only how I feel – other bloggers I know loved it). I want you, dear reader, to read it though, because it features an intersex MC. I’ve never EVER read a YA featuring one, which only emphasises that we NEED books featuring MAIN characters that are representative of every sexuality that LGBTQIA encompasses. 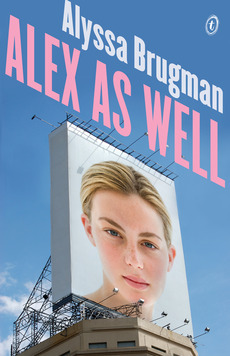 I believe Alex As Well has been published in the US and it’s of course available in Australia, so please seek it out and read it, it’s an important one. As you might guess from the title, Yossi, our MC, is Jewish. He’s also gay and desperately doesn’t want to be. 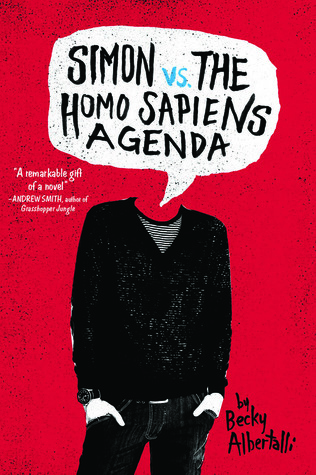 Mix that with Yossi meeting Josh, the new, not-very-religious (and also gay) boy at his school and you will get thoroughly sucked into this endearing YA story about a boy figuring out how his sexuality fits into his faith and vice versa. Although I know next to nothing about Judaism and I was a little confused at times, I ended up devouring this book in one day (it’s in no way preachy, by the way, more that it’s just a lot of information to take in) and I’m so happy that this book exists because it’s a book about sexuality and faith, particularly Jewish faith and again, it’s something I’ve never seen in YA. I want everyone to know about this book and I feel like so few do (both in Australia and internationally) and that frustrates the hell out of me. So if you’re reading this, please, GET YOUR HANDS ON IT HOWEVER POSSIBLE AND START READING IT NOW. 1. If you’ve read Some Girls Are by Courtney Summers - for me, Laurinda brought back some of those feels. 2. There is no romantic element, which I find to be so rare in YA these days (not saying there’s anything wrong with romance in YA, of course, because I can’t live without romance in my YA). Okay basically what you need to know about this book is that it has A LESBIAN MC. Do you know this is the first lesbian MC I’ve come across in Aus YA and it’s 2015? THAT IS TERRIBLE. I mean, I’m sure there is others, it’s just that I haven’t read them/come across them yet (Bec did tell me about Pink by Lili Wilkinson when we were discussing this) but holy lesbians in Aus YA, Batman, we need more of them. Anyway. 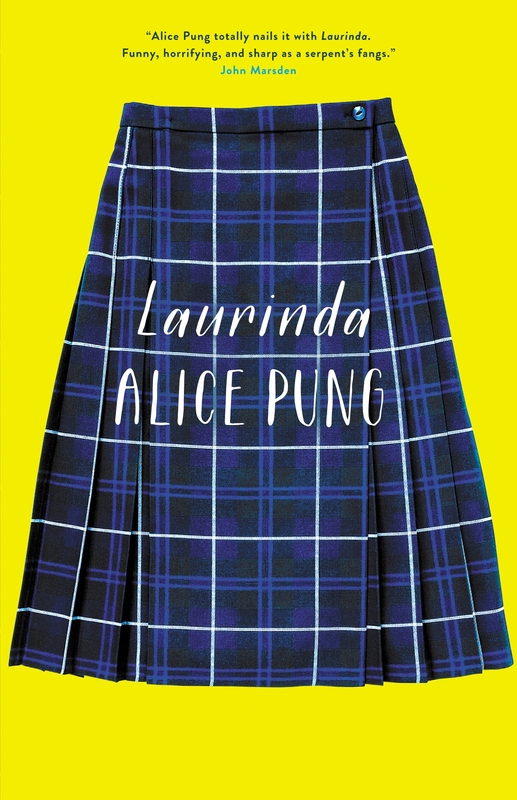 This book is so, so charming and adorable and sweet and funny (I loved the Marx Brothers references) and is essentially everything you want in a contemporary YA. It’s about Del, who has an all-consuming crush on Rosa, a flamenco dancer from across the street. 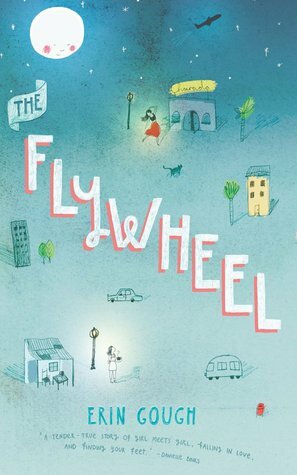 She basically drops out of high school after being bullied and ends up running her Dad’s café, The Flywheel, when he decides to stay away longer than planned on an overseas trip. Chaos ensues. I think one of the things that’s so great about The Flywheel is that Del is already out and comfortable with who she is. That’s important for queer teen readers to read, just as reading about characters that are still struggling with their sexuality and identifying with them in that way, is. I can’t recommend this book enough, and I believe it’s being published in the US next so year so if you come across it, please please please read it. Vân Uoc is a Vietnamese-Australian teenager attending Crowthorne Grammar school on a scholarship. She’s a dreamer. She dreams about making it into an arts school and Billy Gardiner. She makes a wish. And suddenly, Billy starts to notice her. Is it magic? Can wishes really come true? I can’t decide which of her three books my favourite is, but I think it’s this one? And to be honest, it’s hard for me to properly articulate why I loved it so much. I think a lot of it comes from how much I adored Vân Uoc and the achingly real portrayal of first love Cloudwish explores. I was surprised at myself actually, because I was well and truly swept away on a wave of FEELINGS (and normally. my cynicism butts in and ruins things). I love that Fiona wrote a book with Vân Uoc as our MC, because I absolutely loved her voice. Trust me when I say that you want this book in your life and you want it in your life NOW. In the words of Vic: Tia Maria! This is one fabulous book. I'm not usually a fan of dual narration, but Just Visiting made it work so well. Normally it would take me a while to find my groove and adjust to two voices, but I sank into this book like a fluffy marshmallow and didn't give it a second thought because I was too busy turning the pages. Apart from jotting down a note as to how well the POVs were written, of course. The diversity in the book is just SO GREAT. Truly. It's weaved in effortlessly and as always, you can see that Dahlia has done her research. For one, Victoria is fluent in ASL because her mum is deaf and I don’t think I’ve ever seen this done in a YA novel before. It was great and as much as I enjoyed it, I think I would have loved this particular aspect even more now that I’ve discovered the TV show Switched at Birth, one of my latest obsessions. (And hey, on another note, you should totally check out that show.) It also includes a cast that's diverse in race (Victoria is Mexican and one of the love interests is Indian) and socioeconomic class. I already liked the girls, but I really came to love them when we got to delve into their pasts. This fleshed them out and allowed us to get to know them; where they've been and where they're going. Reagan and Vic are both very different and I think this is also why they complement each other in friendship and from a reading perspective. They both offer something different - to each other and for the reader. They aren't without their flaws, but they care for one another so much. 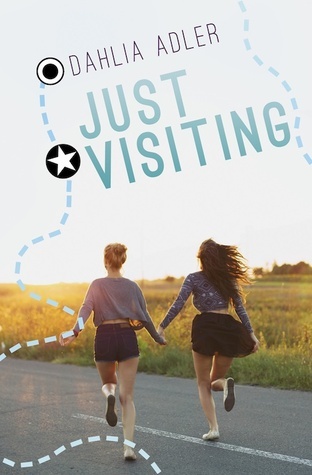 It’s a beautiful friendship and the kind I love to see being represented in YA. More reasons I love JV? I won’t spoil it, but there's this scene that deals with contraception and it's handled so well. Some authors might have simplified it or skipped over it altogether; I know this because I remember reading this scene once that was so dismissive of the subject it’s stuck with me, even though the book hasn’t. But Dahlia does’t take the easy route and has handled the subject with such grace. You’ll know it when you read it. Basically, what more could you want in a book? P.S. I'll be hosting a Twitter party with the author to celebrate the release next week. Come for some fun, a Q&A, book chatting & more. Not sure if you'll be able to make it? Check your time zone here! Use the #JVParty hashtag to join in. Hope to see you there!